It’s 18 June and the sun has set in Volgograd. 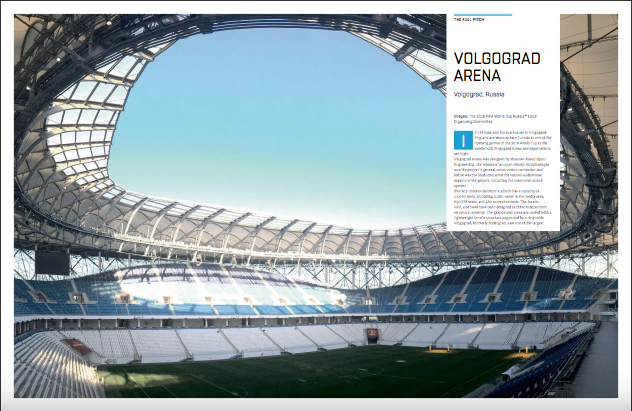 England are about to face Tunisia in one of the opening games of the 2018 World Cup at the newly built Volgograd Arena and expectations are high. … From the very beginning, Andrei [Kremenchugski, Edelweiss Audio’s technical director] worked closely with members of the Funktion-One team. It started with Funktion-One founder, Tony Andrews. Andrei and Tony discussed the project at length and formulated a design that would give the stadium the highest level of sport venue sound.